Hi there my dear merry goers. 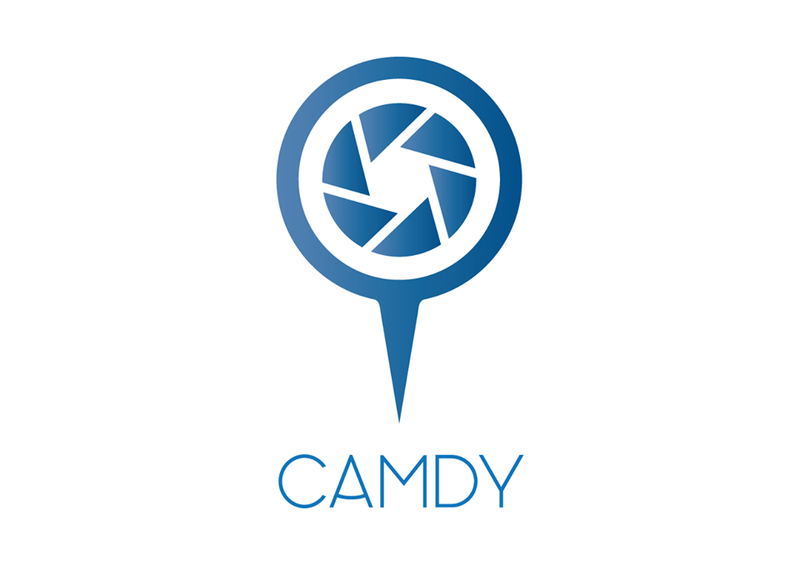 Today's post will be targeted to those who have taken interest in the real estate development in Malaysia and around the world. 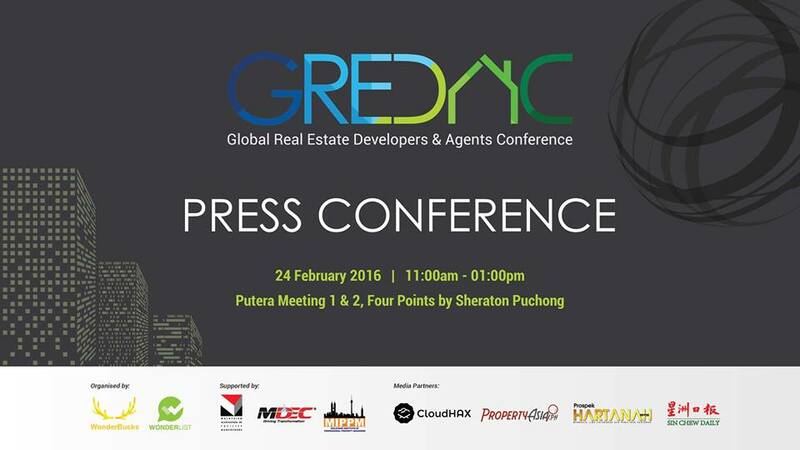 This year, Malaysia will be playing host to the Global Real Estate Developers & Agents Conference (GREDAC). This conference will bring together successful real estate developers as well as in fun tial oroperty agents in a common goal of building new and exciting partnership, sharing market outlooks in the current economic situations, discovering new and upcoming world-class projects as well as aiding in the revolution of technology in the property market. 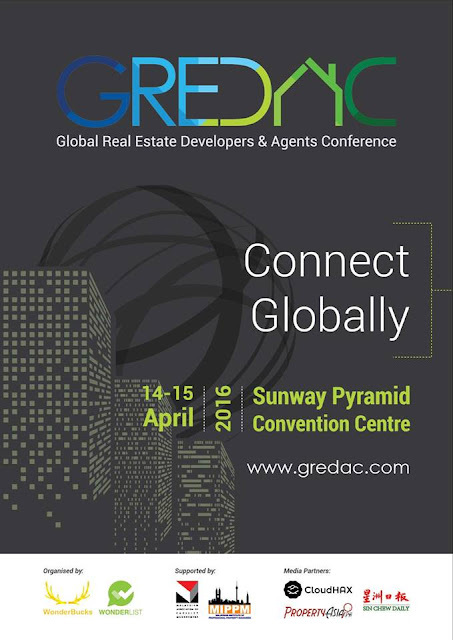 GREDAC will be a two-day conference held at Sunway Pyramid Convention Centre from 14 - 15 April, aiming to "reform the future of real estate through consumer-driven technology". One of the major developments in the country which is influencing property development would be all the LRT/MRT lines across Klang Valley. Properties around these area are considered to be the prime areas and these developments will create positive spin-offs in the commercial sector which in turn will attract investors especially foreign investors. The weakened Ringgit have made luxury properties in Malaysia extremely attractive and more affordable. Educational hubs like Alice Smith School in Seri Kembangan, Taylor's International School at Bandar Bukit Puchong, Epsom College at Bandar Enstek and Bandar University Pagoh near Muar are also an added attraction along with the affordable housing prices for foreign investment thanks to the "holistic environment". Additional programmes such as MM2H are what makes Malaysia a continuous temptation for expats to make Malaysia their home. Roughly 80% of Malaysians are below the age of 50 which makes the demand of houses to increase as more young adults come into the workforce and look to invest in property. This definitely includes me and many of my peers have been facing the pressure to own a property of their own. The conference will be focusing on how the future of real estate can be transformed through consumer-driven technology. GREDAC offers an opportunity for participants to mingle and interact with delegates around the world through networking and business matchmaking sessions, allowing them to engage in forming new partnerships and forging new business relations. There will be over 50,000 real estate developers and agents from countries including Singapore, Thailand, Philippines, Hong Kong, Japan, South Africa and also Australia. 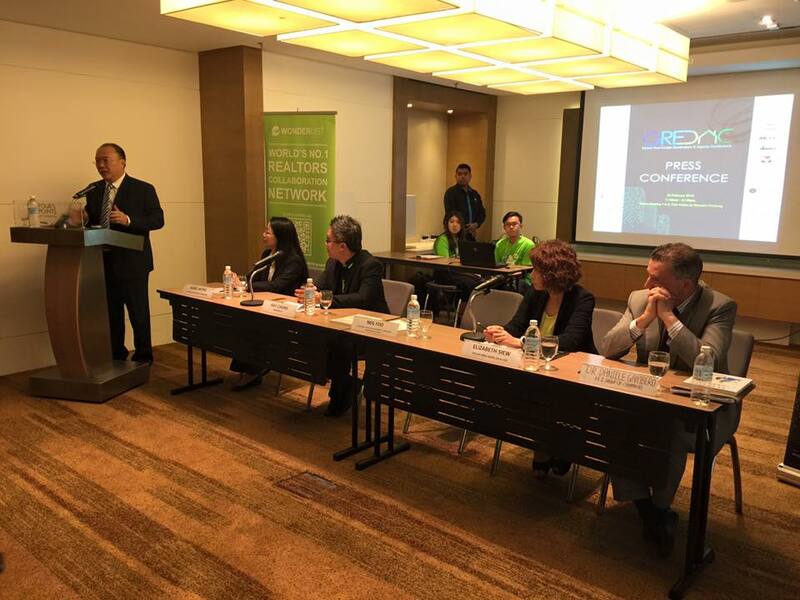 Highlights include speaking programs ranging from the outlook of ASEAN Property Market to learning the latest trends in digital leas generations for real estate professionals as well as attracting Japanese investors and penetrating into the Japan market. Prominent speakers include Dato' Seri Matthew Yeoh, Agnes Wong and Elizabeth Siew from Malaysia; Colin Tan from Singapore, Ken Urata from Japan and Janette Toral from Philippines. 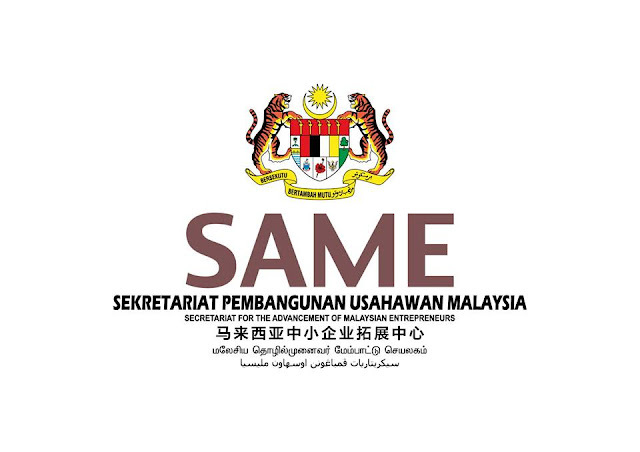 You will be able to listen from the many real estate and property experts point of view of what their countrymen are looking for in an overseas property and at the same time learn how to improve Malaysia's real estate and property developments and raise out level in par with our international counterparts. 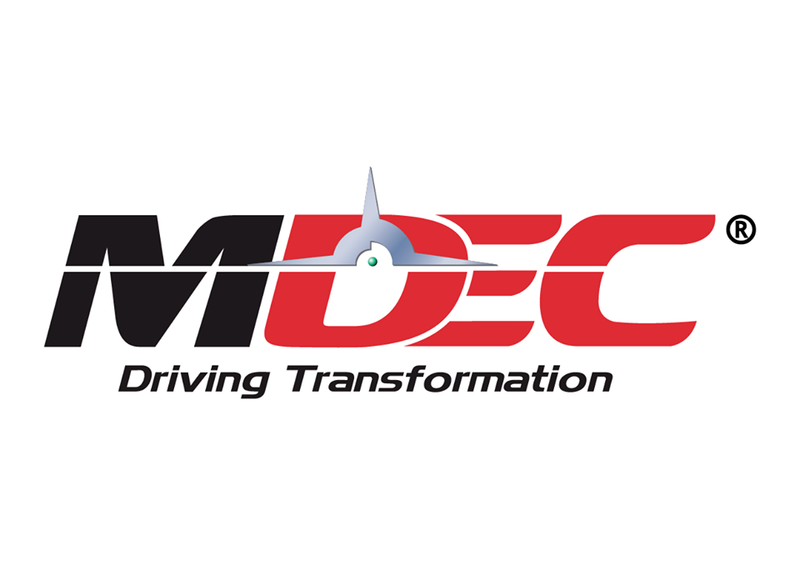 GREDAC has garnered the support of SAME, the Multimedia Development Corporation (MDeC), the Malaysian Institute of Professional Property Managers (MIPPM), and the Malaysian Association of Facility Management (MAFM) along wth sponsors. Other notable partners are Cloud hac, Prospek Hartanah, PropertyAsia Philippines and Sin Chew Daily. 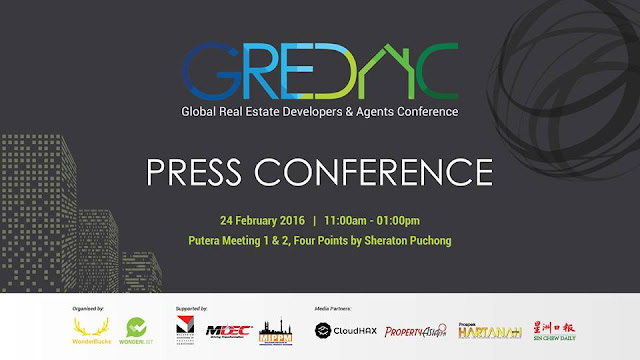 GREDAC will be the sole premium platform that offers international business matchmaking event, catered solely to the real estate community where individuals will see industry veterans and property experts from different markets discussing current challenges, potential business opportunities and the future of the region's property market. It would be interesting to see major real estate players like Berjaya Group, IOI Properties, MK Land and others meeting together and maybe even forge a partnership to further improve the real estate industry in Malaysia because one thing for sure; Malaysia is the gateway of real estate in the world. This would be a great opportunity for individuals who are interested to go into the real estate industry or to make money from real estate as well. 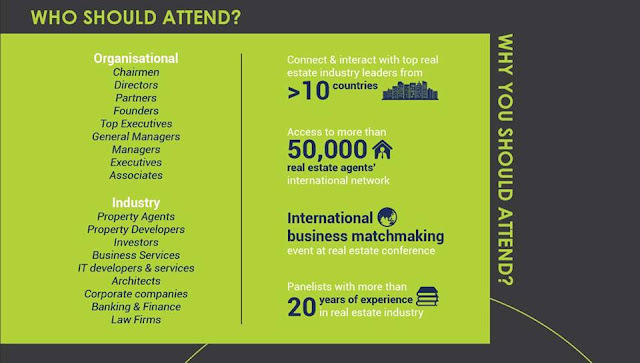 Real estate agents are encouraged to participate in this global conference as well to build new connections and gain more insight in this industry.